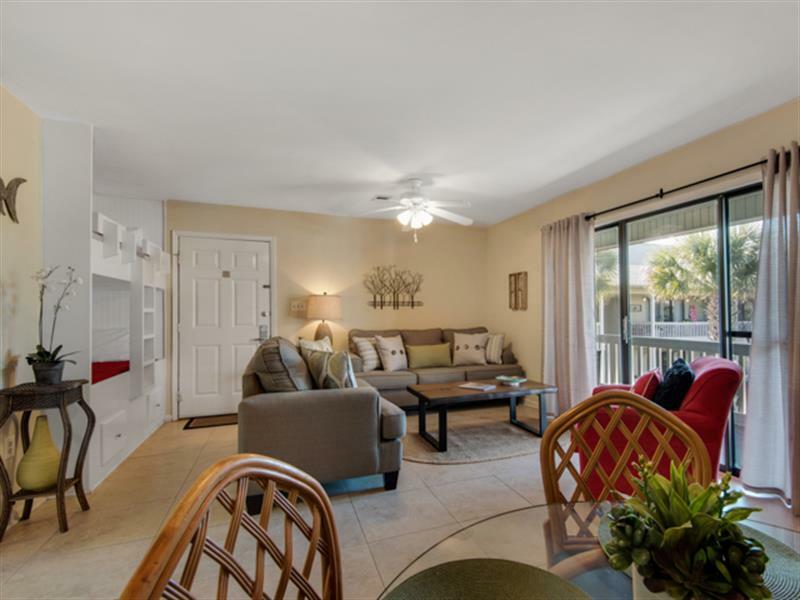 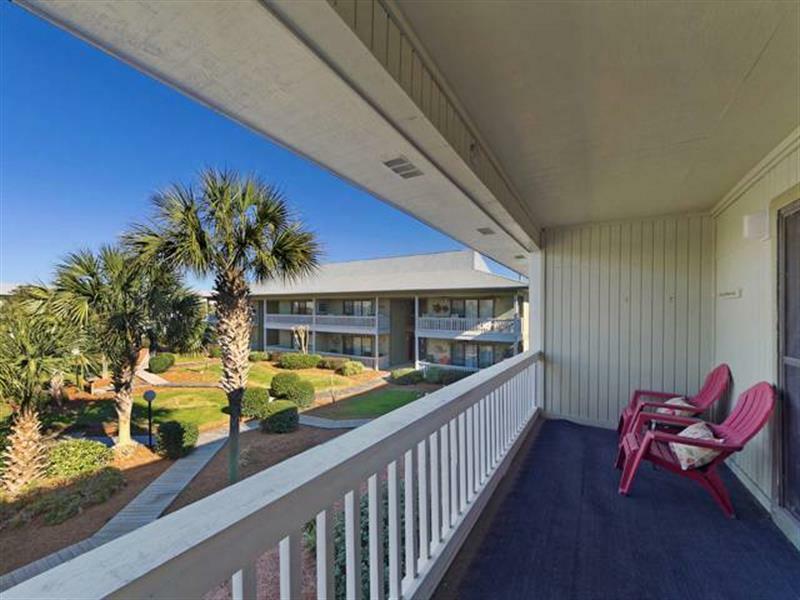 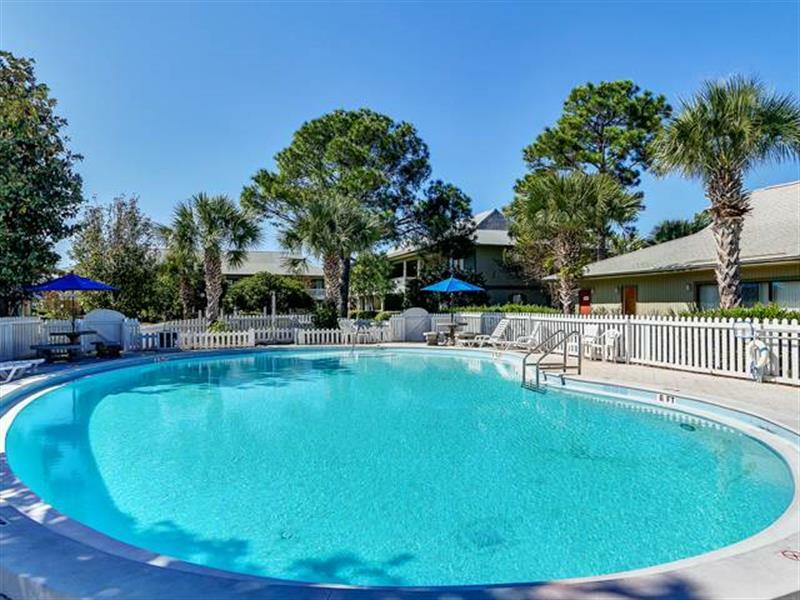 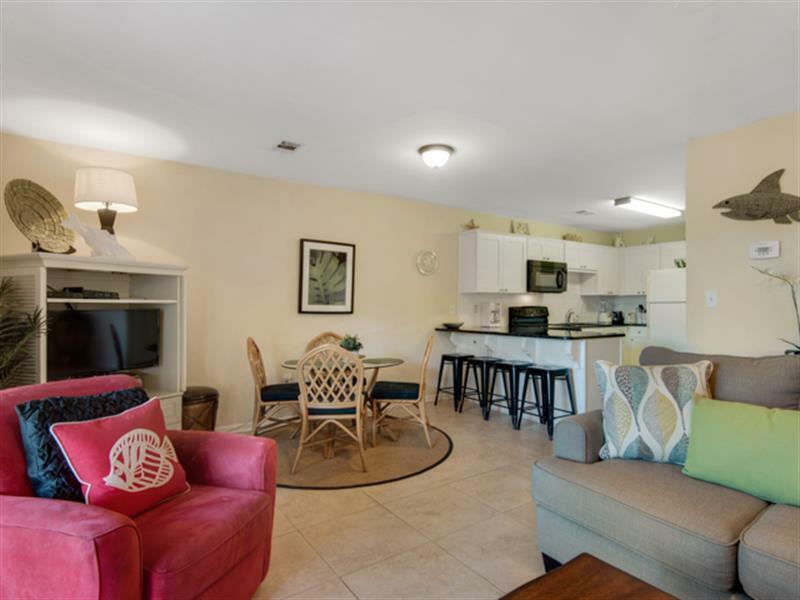 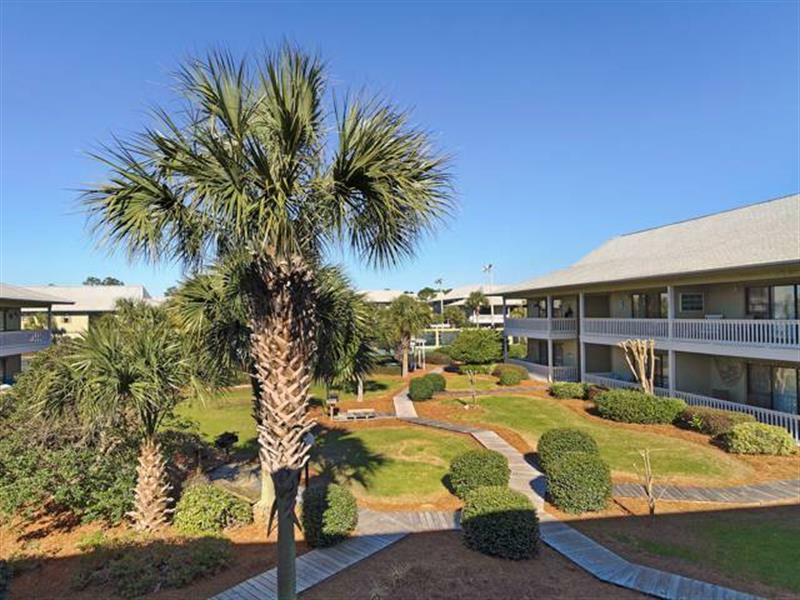 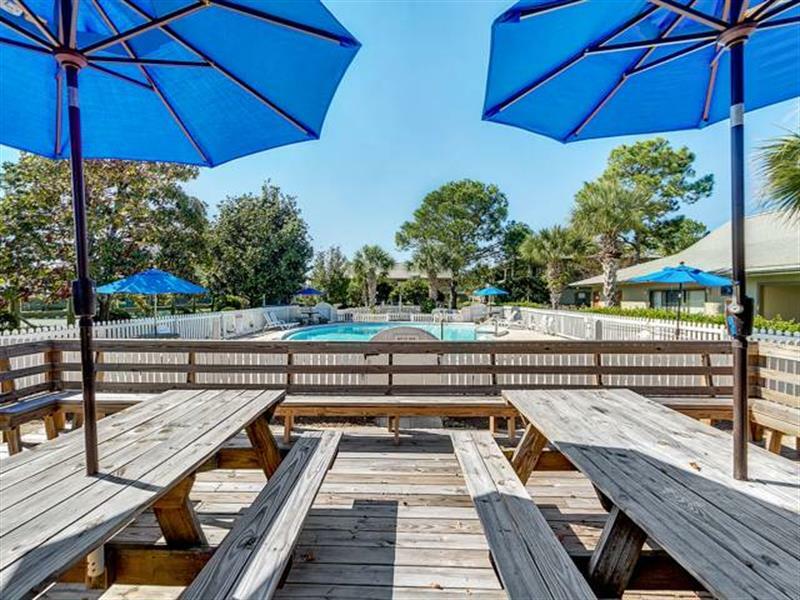 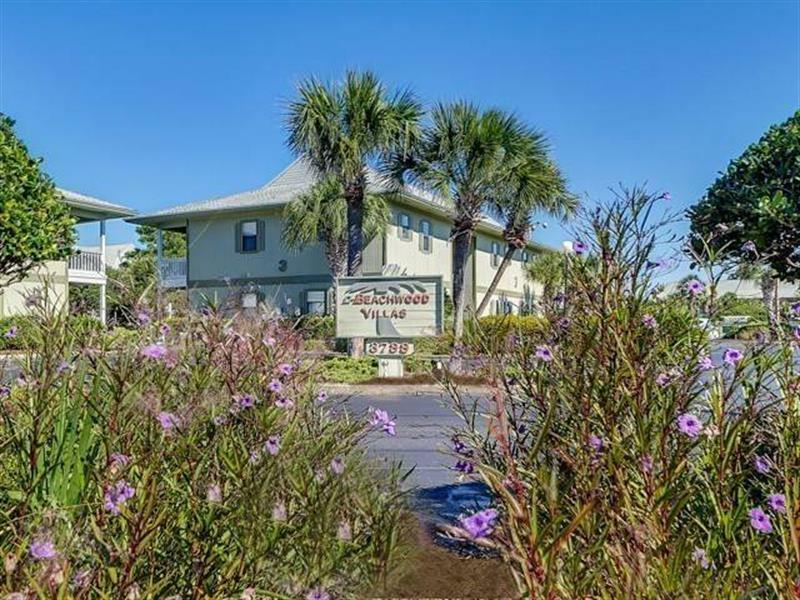 Gather your family and friends for a relaxing, fun, and affordable vacation at Beachwood Villas, located on the north side of 30A in the heart of Seagrove Beach. 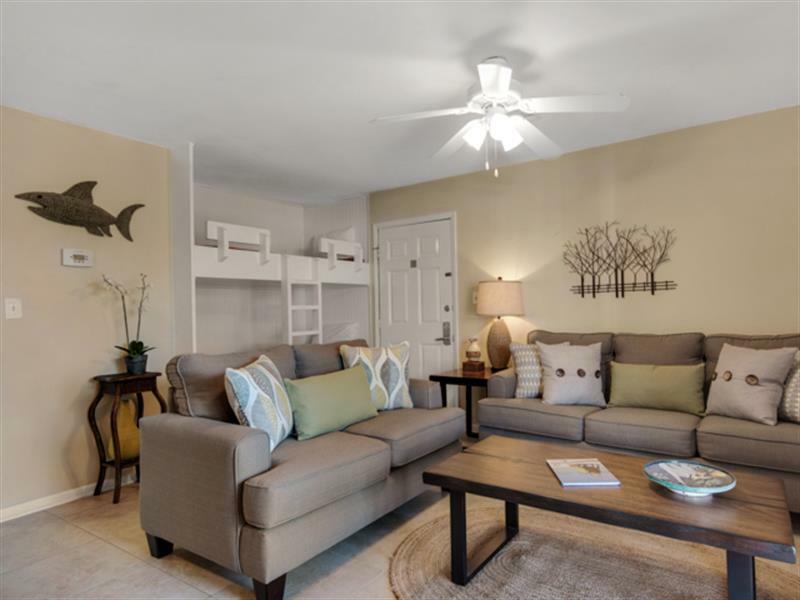 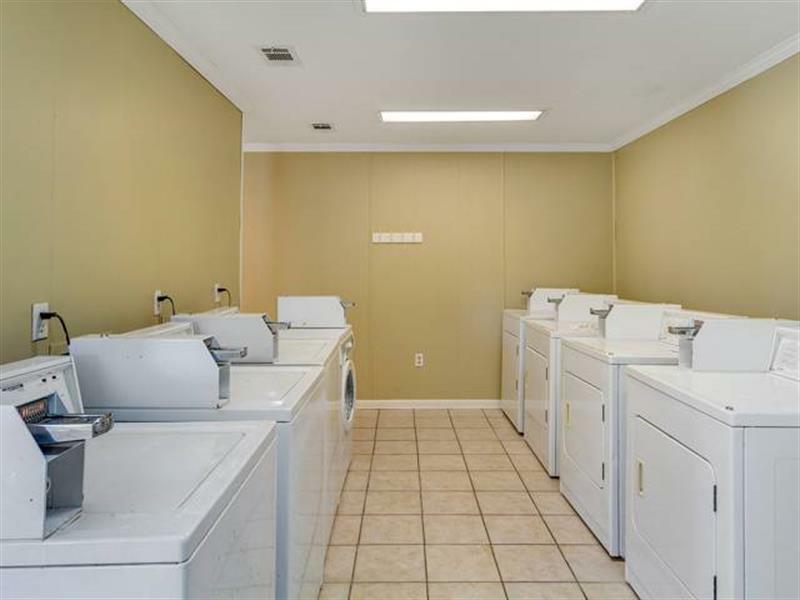 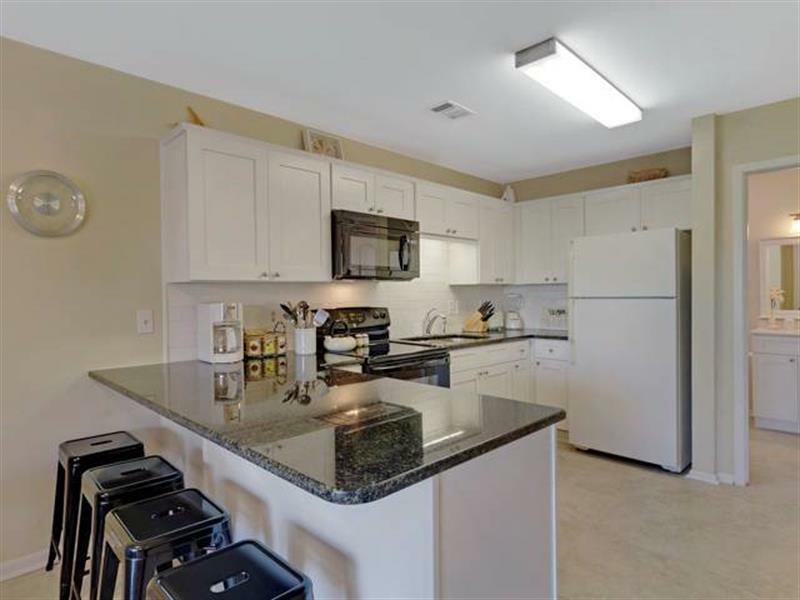 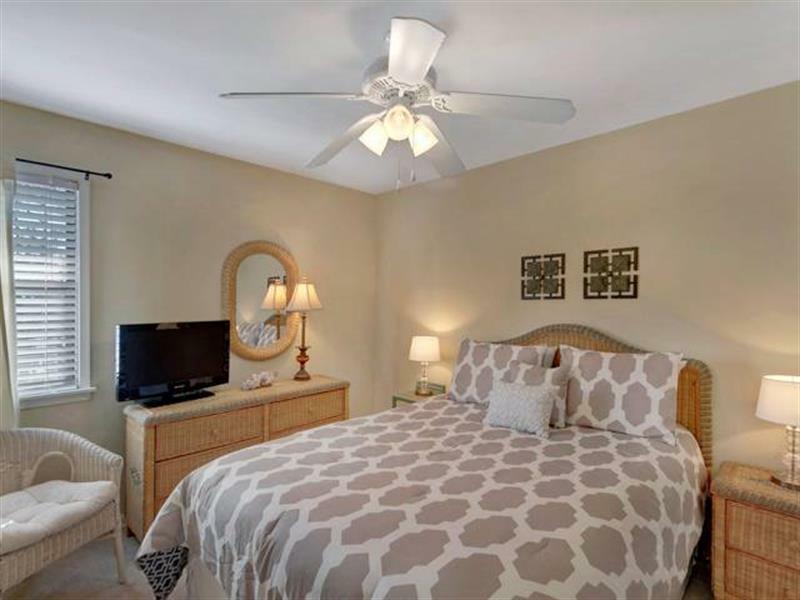 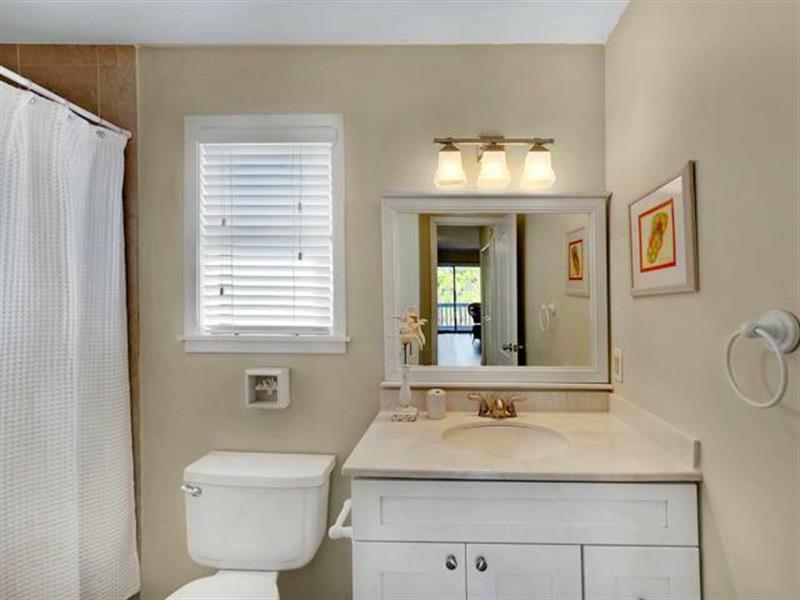 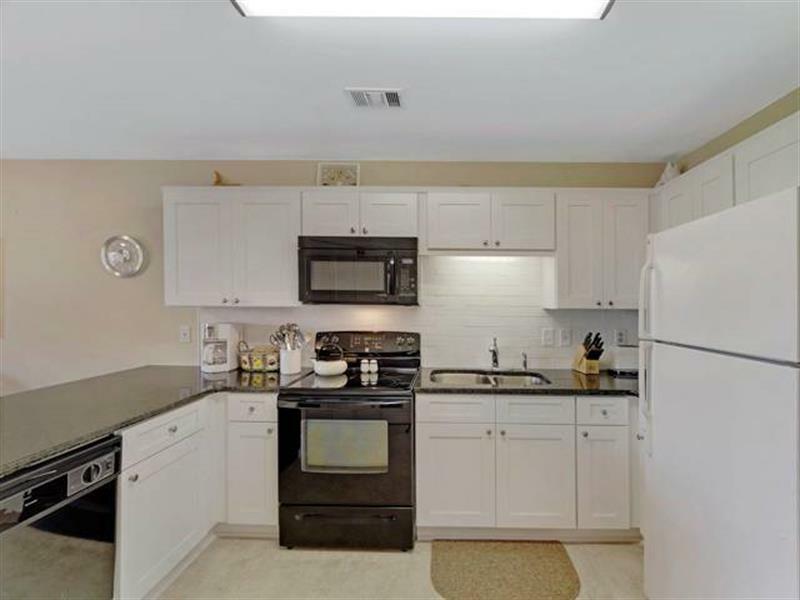 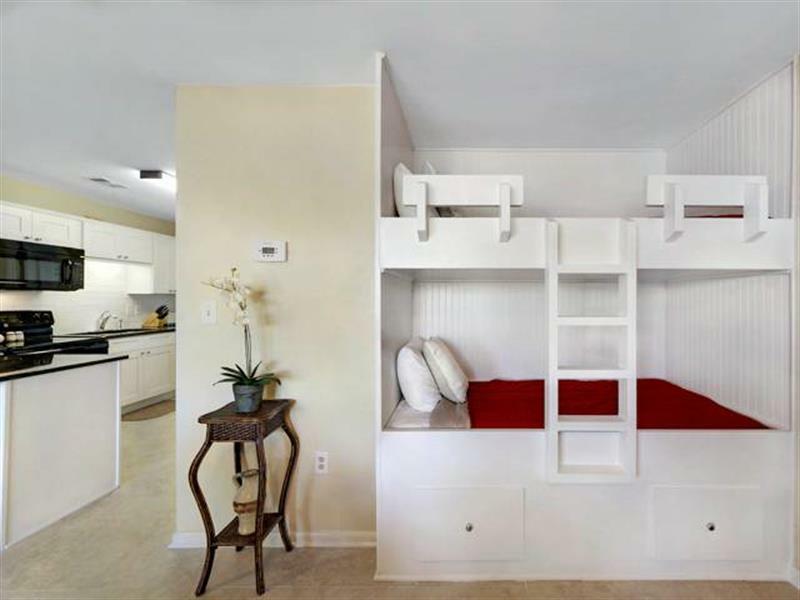 This adorable 2nd floor, one bedroom condo is beautifully decorated and has been recently renovated with ceramic tile flooring, a brand new kitchen, updated bathroom with a tile surround tub and vanity, updated bedroom, and the addition of twin bunks. 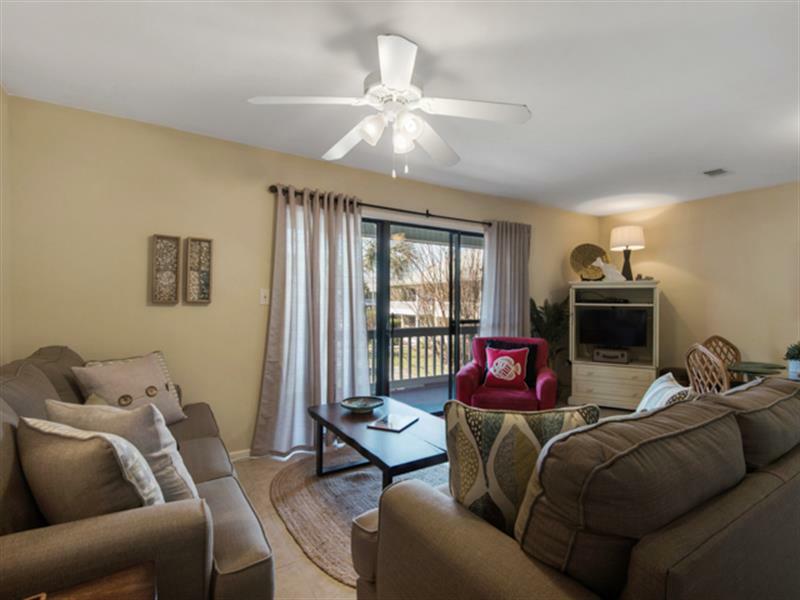 With a sofa sleeper in the living room, this unit will easily accommodate six so you have plenty of room to bring your favorite friends! 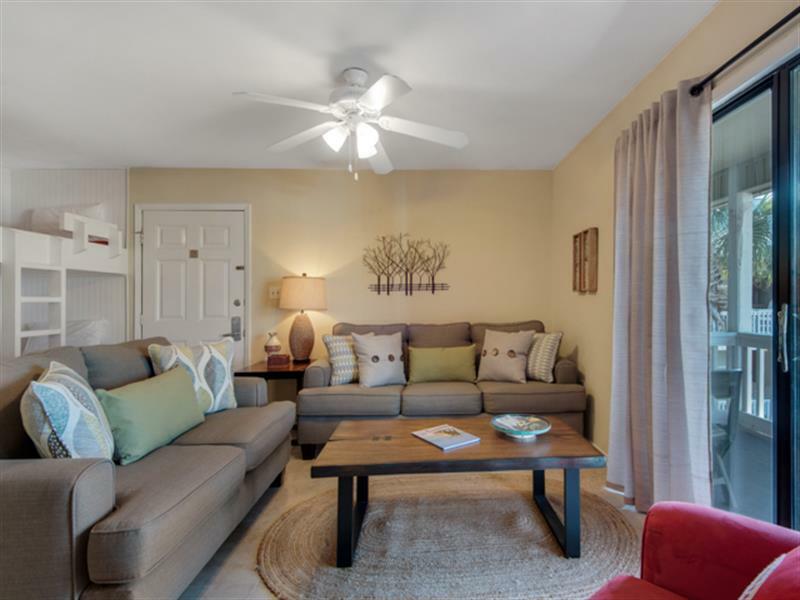 The unit is equipped with two TVs with cable service, 1 DVD player, and wireless internet to satisfy your entertainment needs. 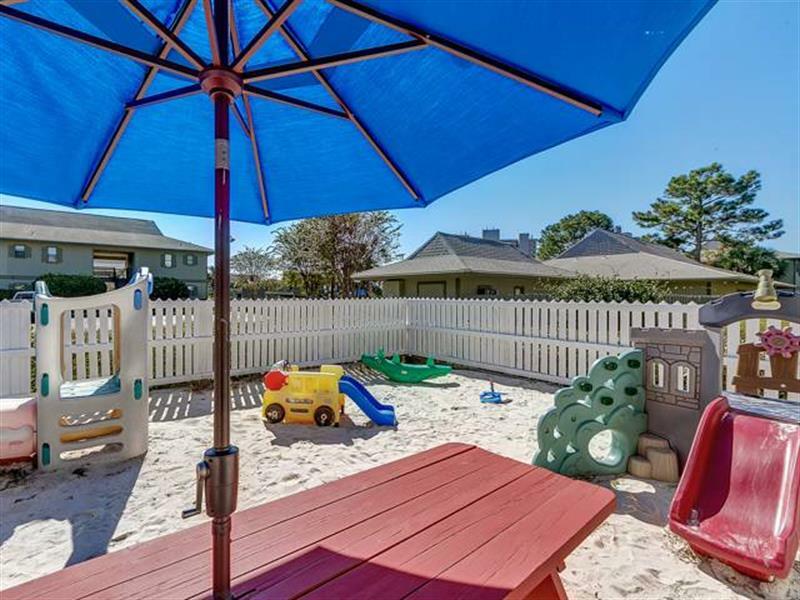 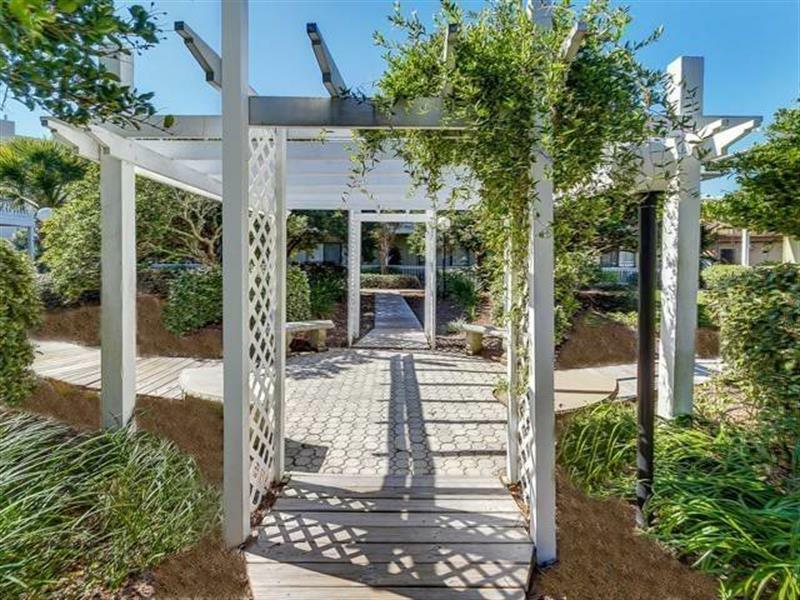 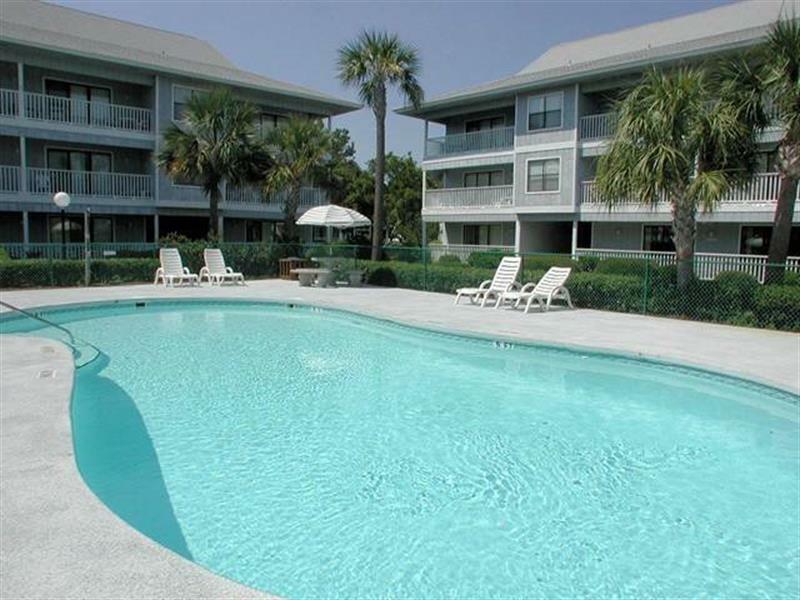 With a beach access only steps away, you can enjoy unlimited fun in the sun! 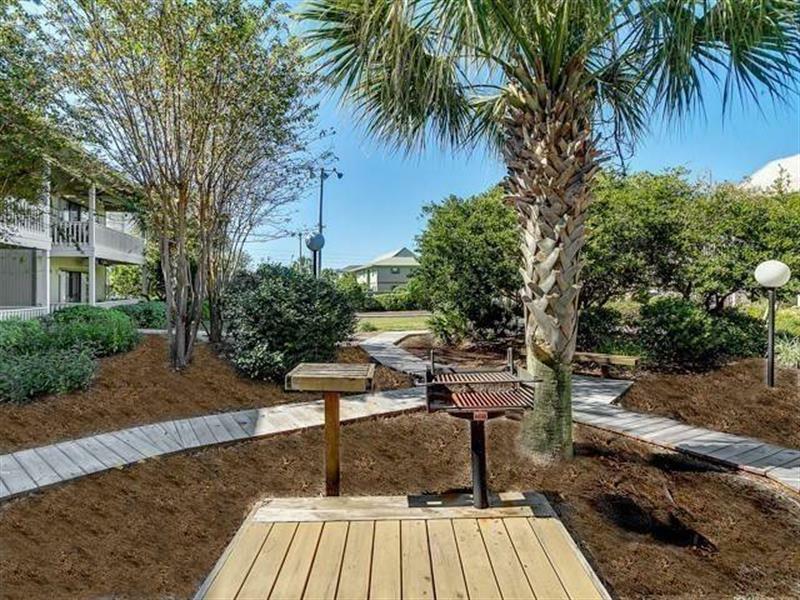 Be sure to stop by one of the nearby shops and restaurants on your walk back from the beach to enjoy a bite to eat.